I attended the University of Minnesota Mortuary Science Program graduating with a Bachelor of Science in 2006. I came back to the Tracy area and have been working with my family at Almlie Funeral Homes. 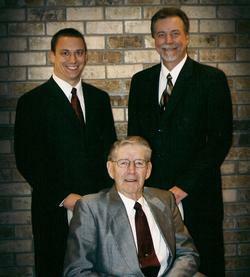 Over the years I have been helping other local funeral homes and have been working with the Chandler Funeral Association for over 4 years, and prior to that, my father, Steven Almlie was the director here. I am 100% dedicated to the people of the communities we serve and strive to provide the best services at the lowest possible prices to all the families we serve. I come from a family of funeral directors and know the importance of providing a meaningful funeral service to every family from all walks of life.